Attorney General Jeff Sessions on Thursday raised the prospect of a federal crackdown on marijuana in states that have legalized the drug by ending the Obama-era hands-off approach to the rapidly growing industry. The decision promises to shake the emerging foundation of Massachusetts’ cannabis market six months before the scheduled start of recreational pot sales — and to confuse consumers about whether it’s still OK to grow and possess marijuana. Sessions told regional US attorneys in a memo that they now have full discretion to enforce the federal prohibition on marijuana. 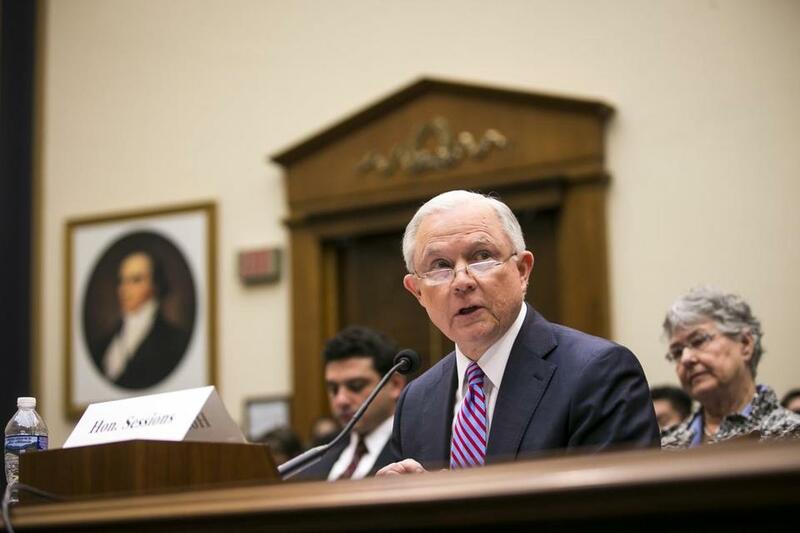 They should weigh the Justice Department’s “finite resources” against “the seriousness of the crime, the deterrent effect of criminal prosecution, and the cumulative impact of particular crimes on the community,” Sessions said. First reported by the Associated Press, Sessions’ decision hands the new US attorney for Massachusetts, Andrew E. Lelling, immense power. Just a few select prosecutions from Lelling could smother the burgeoning industry. Attorney General Jeff Sessions launched a review of a little-known but widely used practice of immigration judges closing cases without decisions. The Massachusetts Cannabis Control Commission, which is setting up regulations and license procedures for recreational marijuana companies to open in July, said in a statement that “nothing has changed.” The agency will continue “to fulfill the will of the voters of Massachusetts by implementing and administering a regulatory process that is safe, equitable, and efficient,” a spokeswoman said. To effect the change, Sessions rescinded a series of Obama-era guidance documents that discouraged US attorneys from prosecuting marijuana business owners and users who complied with local rules and did not sell pot to minors or contribute to interstate trafficking and organized crime. The earlier guidance had also partially shielded banks that worked with such companies from federal laws that prohibit financial institutions from handling funds obtained by selling illegal drugs. Removing those protections could dissuade bankers and lenders from serving cannabis firms, forcing them to deal only in cash. Even if that didn’t occur, Sessions’ announcement alone could have a chilling effect on the industry by scaring off potential investors and operators. Romano said he and other attorneys had long used the Obama guidance to reassure clients who were nervous about civil asset forfeiture or criminal prosecution under federal law. His clients were flooding his phone with anxious calls Thursday. Indeed, in praising Sessions’ policy, pot opponents singled out its effects on financing the marijuana business. “It’s going to dry up a lot of the institutional investment,” said Kevin Sabet, chief executive of Smart Approaches to Marijuana, who was among several opponents to marijuana who met with Sessions last month. The medical marijuana system, which has more than 43,000 registered patients in Massachusetts, is still protected from prosecution under a budget rider that must be continually renewed with each federal spending bill, leaving it vulnerable. Sessions has also called for that rider to be dropped. Many Massachusetts political officials swiftly condemned the move by Sessions. A spokesman for Governor Charlie Baker, a Republican, said his administration “fully supports the will of the voters” and “believes this is the wrong decision.” Other top Massachusetts officials, including Senator Edward J. Markey and Attorney General Maura Healey, both Democrats, warned it could divert federal police resources from fighting the scourge of opioid abuse in the state. Pot activists and businesspeople also slammed the announcement. 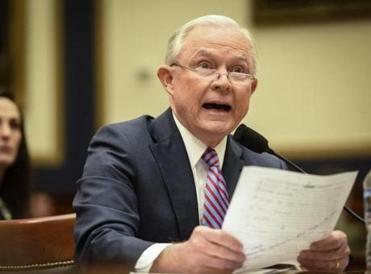 They pointed to consistent polling showing a solid majority of Americans believe the drug should be legal and said Sessions’ policy allows him to sidestep any blowback that an unpopular crackdown could have brought by instead leaving such decisions to regional federal prosecutors. Others were hopeful the status quo would remain and predicted this would finally prompt Congress to resolve the longstanding conflict between state and federal laws on cannabis. “I’m hopeful this could be the catalyst for the federal shift we’ve all been hoping for,” said Shanel Lindsay, a Boston-based entrepreneur marketing a device to prepare marijuana for edibles. And Republican Senator Cory Gardner of Colorado, who is leading GOP efforts to maintain control of Senate this year, threatened to block Trump Justice Department nominees in protest, saying Sessions had promised him marijuana would not be a priority for the administration. The US attorney in Colorado, Bob Troyer, indicated Thursday his office would continue to operate under the principles laid out by the Obama administration. The decision comes days after pot shops opened in California, launching what is expected to be the world’s largest legal marijuana market. Eight states and the District of Columbia have legalized marijuana for recreational use, and several other New England states are moving toward legalization. The changes reflect Sessions’ longstanding, strident opposition to marijuana. He has said “good people don’t smoke marijuana,” compared it to heroin, and blamed it for spikes in violence and traffic accidents. He has also criticized Colorado and other legalized markets, saying they have not done enough to prevent marijuana from being illegally shipped to other states. Pot advocates argue that legalizing the drug eliminates the need for a black market and would probably reduce violence, since criminals would no longer control the marijuana trade. Dan Adams can be reached at daniel.adams@globe.com. Follow him on Twitter @Dan_Adams86. Joshua Miller can be reached at joshua.miller@globe.com.